Jaddanbai, who died on this day in 1949, was a woman of artistic talent, wise business sense, and entrepreneurship and deserved greater recognition than the history of Indian cinema has given her. Today (8 April) marks the 70th anniversary of the passing of Jaddanbai, one of Indian cinema's earliest woman directors and the root of three generations of a leading film family that started with her. The most celebrated of Jaddanbai's three children born of her three marriages was Nargis, a star actress who ruled the Hindi screen for many years. Sanjay Dutt, one of the more colourful personalities in contemporary Hindi cinema, is her grandson. Interestingly, the life story and career graph of Jaddanbai itself reads like a film script, timeless and universal. 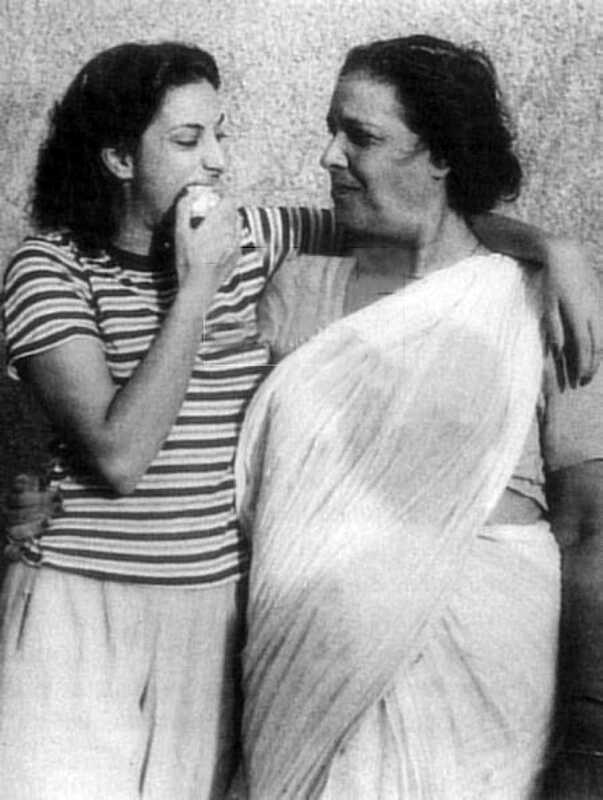 One wonders why Priya Dutt, Nargis’s younger daughter who made a documentary on her mother, has not thought of making one on her grandmother. It would have enriched India's film archive. Some say Jaddanbai was born in Varanasi, others say she was born in Allahabad. She was born either in 1892 or in 1908. The place and date are in a state of flux for want of proper documentation. Her mother, Daleepabai, was a famous tawaif of Allahabad, but they shifted to Calcutta when Jaddanbai was still a child. There are strong rumours about Indian National Congress leader and freedom fighter Motilal Nehru and Daleepabai having been involved in an intense love affair which came to a halt when Motilal’s family, wanting to veer him away from a courtesan, got him married to a girl of their choice. But the young wife died in childbirth along with the baby. Some years later, before Motilal was married again, he met his lady love Daleepabai who, by then was married to the man who played the sarangi (a stringed musical instrument played with a bow like the violin) in the palace for the tawaifs and the relationship was rekindled. Later, Motilal was married off to Swaroop Rani and kept away from any association with Daleepabai. Some stories that go around say the son born to Daleepabai could have been sired by Motilal Nehru, but nothing has been proved and the tale has simply been used as some as a juicy story from the gossip mill. If this were true, however, Jaddanbai might well have been a half-sister of Jawaharlal Nehru! 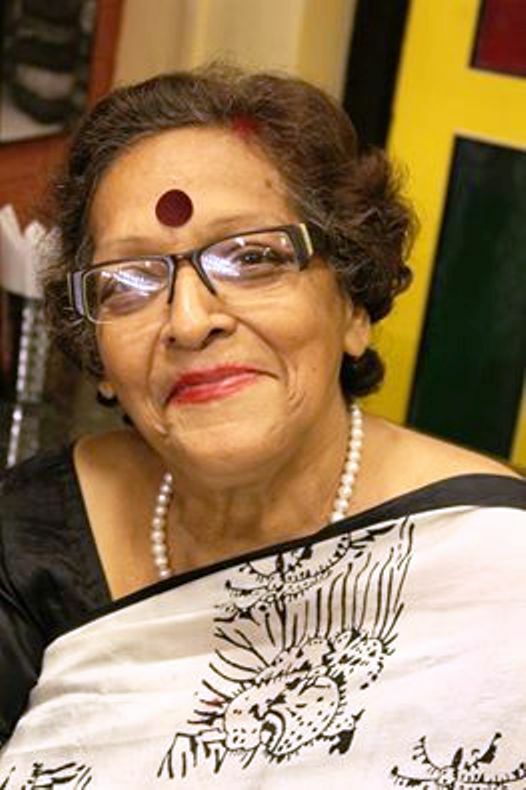 Daleepabai herself is believed to have hailed from a Brahmin family but was abducted by a group which trained courtesans. Another story says her mother brought her up as a Muslim, but there is no word on whether this happened after she was rescued from her abductors or whether this mother and stepfather were her foster parents. Jaddanbai’s father died when she was five, and the family shifted to Calcutta. This was when she began to train rigorously in Hindustani classical music. She approached Bhayya Saheb Ganpat of Calcutta who passed away while she was still undergoing training, so she completed her lessons under Ustad Moinuddin Khan, who, till date, is recognized as the best thumri singer in undivided India. She also trained under Barkat Ali Khan, younger brother of the great Hindustani classical vocalist Ustad Bade Ghulam Ali Khan. Jaddanbai was recording ghazals with the Columbia Graphophone Company and also acting when the Playart Phototone Company of Lahore approached her for a role in their 1933 movie Raja Gopichand. She played the mother of the lead. 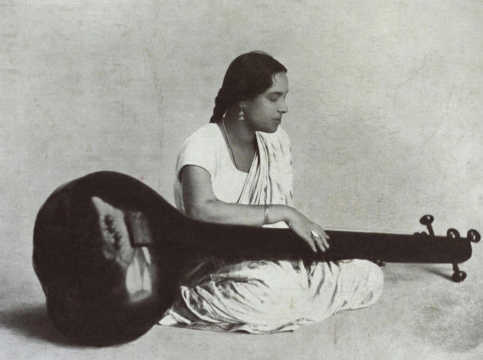 Jaddanbai was extremely talented and versatile in her music but could not take to her mother’s profession, where training in music was mandatory, for a different reason — the tawaif culture had begun fading away in the early part of the twentieth century. A tawaif was a sophisticated courtesan who catered to the nobility of the Indian subcontinent, particularly during the Mughal era. Tawaifs excelled in and contributed to music, dance (mujra), theatre, and the Urdu literary tradition, and were considered authorities on etiquette. They were largely a North Indian institution central to the Mughal court culture from the 16th century on. They became even more prominent with the weakening of Mughal rule in the mid-18th century. They contributed significantly to the continuation of traditional dance and music forms and, later, to the emergence of Indian cinema. An intelligent young woman, Jaddanbai realized the increasing significance of cinema as the new form of entertainment capturing the imagination of the masses and decided to shift to Bombay, the most prominent film production centre at the time. She knew her training in music and entertaining would help her establish herself in the film industry that was just taking shape. In her personal life, too, Jaddanbai was unconventional even among the tawaifs and lived life on her own terms. She married three times and each marriage brought her a child. Her first marriage was with a wealthy Gujarati Hindu businessman called Narottamdas Khatri (commonly known as Bachchubhai). The condition was that he had to convert to Islam. The son born of this marriage was named Akhtar Hussain. Jaddanbai then married a harmonium master, Ustad Irshad Meer Khan. Their son was named Anwar Hussain. She then married Mohanchand Uttamchand Tyagi, a wealthy Punjabi-speaking Mohyal Brahmin who was also asked to convert and given the name of Abdul Rashid Khan. The child sired by him was named Fatima Rashid, later to become Nargis. Abdul Rashid remained unemployed almost all their married life and Jaddanbai had to run the family on her own. Perhaps this was also what prompted the shift to Bombay. The best part of the family culture was the peaceful and harmonious coexistence of Hindu and Muslim cultural practices, which gave Nargis a wonderful upbringing in an open environment. The family kept moving between a Hindu and a Muslim identity. This third marriage turned out to be a successful and happy one though Abdul Rashid was disowned by his family for converting and marrying a tawaif. Jaddanbai lent her voice to several radio stations with her ghazals and other songs. She made her big-screen acting debut in Raja Gopichand (1933), after which she did Insaan Ya Shaitan (1933) for a Karachi-based company. She worked both as an actress and a music composer for the film Talash-e-Haq (1935). She then started her own production company called Sangeet Films. She changed her daughter’s name from Fatima to Baby Rani when she was only six and introduced her in films as a child artiste with Madam Fashion (1936). Jaddanbai was forced to take Nargis out of an elite English-medium school when the family's financial condition worsened and Nargis had to bear the burden of the family. Her first role outside the Sangeet company was in Mehboob Khan's Taqdeer (1943) opposite the popular and accomplished actor Motilal. Basically an actress and a singer, Jaddanbai directed Hridaya Manthan (1936), Madam Fashion, Jeewan Swapna (1937) and Motiyon Ka Haar (1937). She deserved greater recognition than the history of Indian cinema has given her. She was a woman of talent, of wise business sense, of entrepreneurship and, as a wife and mother, led a contented life with her third husband and three children, all of whom stepped into cinema. But the brothers Akhtar and Anwar could not reach anywhere near the heights their sister achieved. 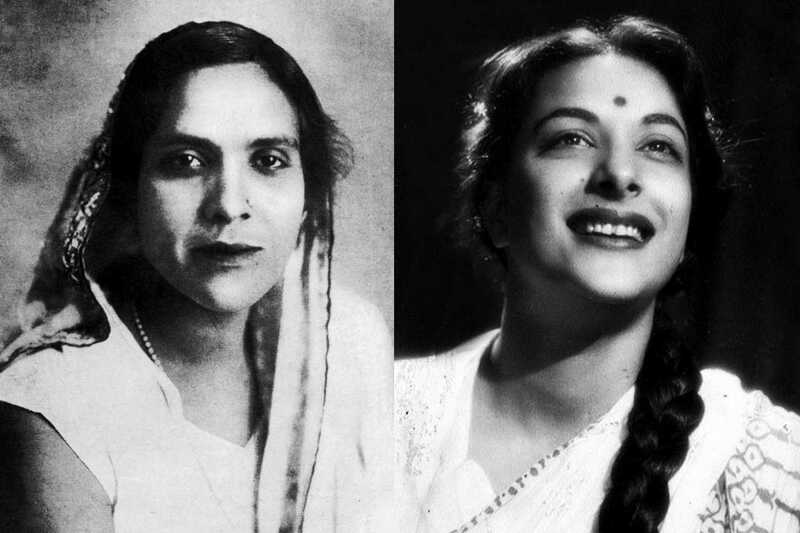 Jaddanbai’s entry into film production, acting, singing and composing music came at a historically significant time when cinema was beginning to earn some respect and ladies from respectable families, such as Shobhana Samarth and Durga Khote, had begun to act in films even as the tawaifs and marginalized women such as Anglo-Indian ladies in Calcutta were on their way out with the advent of the talkie. Jaddanbai, therefore, stands like a bridge between the two waves of history that changed the trend of Indian cinema forever.